WEL is a not-for-profit organization whose primary purpose is to increase the number of women serving on corporate boards and in the executive suite through advocating, educating and connecting accomplished leaders. The Big Brothers Big Sisters Association of Florida (BBBSAF), a 501c(3) not-for-profit, was organized in February of 1995 to pool the resources and coordinate the efforts of our member agencies. The organization’s purpose is to increase resources and create opportunities to enhance service growth for the thirteen BBBSAF affiliate members. The Athena Society is an organization of Tampa professionals who have demonstrated leadership in the community and committed themselves to promoting equality and opportunity for women. Started in 1976 to support passage of the Equal Rights Amendment, Athena remains true to its shared purpose today. One of its highly successful annual projects is the Dr. Sylvia Richardson Young Women of Promise, a program designed to honor eight to ten high school juniors who have demonstrated outstanding leadership in their community. These young women set a standard of excellence; they are role models today and have the potential to be our future leaders. Each year the Society also awards the Phyllis P. Marshall grants which provide career assistance to striving economically disadvantaged women. The money may be used for tuition, books, childcare, transportation or needed career equipment. The Phyllis P. Marshall grants are awarded from the endowed Athena Fund, a part of the Community Foundation. 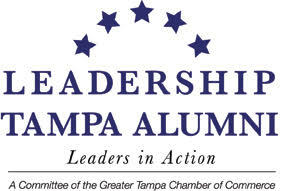 The Greater Tampa Chamber of Commerce began as the Tampa Board of Trade in 1885 and was reorganized in 1928 to become the Tampa Chamber of Commerce. Today, we are an accredited organization recognized by business, government, education and community leaders. The Chamber is here to carry the banner for the business community, a responsibility we take seriously. We have a renewed commitment to advocacy – to be a business minded voice on public policy issues essential to your success, a healthy economy and an improved quality of life for all. We support the community’s small businesses by offering a wide-array of educational programs designed to foster growth among this key piece of our regional economy. The Board of Fellows, established in 1972, sees its mission to serve as “goodwill ambassadors” within the community, as well as to provide financial and other support to the University. Made up of over 160 business leaders and professionals, the Fellows increase the University’s visibility through special events and outreach, and raise funds for scholarships. Through their activities, members of the Board of Fellows also find rewarding opportunities to network with peers who share their belief in the value of higher education. The NLC is Tampa Bay’s center for nonprofit education. It is our mission to teach nonprofits the skills to run their businesses through affordable training, coaching and online resources. By educating, empowering and connecting Tampa Bay nonprofits we help organizations grow stronger so they can deliver better results.